PT Waskita Toll Road - WKT is a rapid growing toll road investment company in Indonesia which was established in 2014. The Company constructs and manages toll road projects and highways. Waskita Toll Road also provides road damage repair and other maintenance services. Waskita Toll Road focused on the procurement of toll road infrastructure for Java Island, Sumatera and Kalimantan. 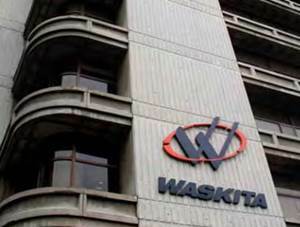 Headquartered in Jakarta, Waskita Toll Road now has 15 toll roads and 2 pipeline toll road segments. Of the 17 toll road sections, 13 toll roads are located on the Java region and 6 segments of which are part of the Trans Java segment which is a priority of the Government of Indonesia. Waskita Toll Road is a directly-owned subsidiary company of state-owned construction firm PT Waskita Karya (Persero) Tbk (Waskita Group). According to Waskita Group's profile as cited by JobsCDC.com, Waskita Toll Road is 99.99% owned by Waskita Group and 0.01% by Koperasi Waskita. Minimum formal education S1 Environmental Engineering. Minimum 2 years of experience in the field of system and procedure/System analyst/ISO 9001, OHSAS, ISO 14001. Have attended training in Information System Management, Technology Information. Strong competencies in expertise, controlling, team leadership, analyzing/reasoning, conceptual thinking and attention to detail. Minimum3 years of experience in the field of system and procedure/System analyst/ISO 9001, OHSAS, ISO 14001. Minimum education S1 Economic/Finance Accounting. Minimum 4 years of experience in the same field. Active in English and computer literate (MS Office). Minimum education S1 Civil Engineering. Minimum 3 years of experience in the same position in the field of road and bridge. JobsCDC.com now available on android device. Download now on Google Play here. Please be aware of recruitment fraud. The entire stage of this selection process is free of charge. PT Waskita Toll Road - Staff, Manager, Project Head Waskita Group August 2017 will never ask for fees or upfront payments for any purposes during the recruitment process such as transportation and accommodation.